When we pray for Healing, is it God’s Will to Heal every time? Personally I don’t think it is God’s Will to heal you every time in this life. In Heaven we are all going to be completely healed. In this life I believe God does use sickness for many reasons. I don’t believe we should presume God doesn’t want to heal us. I believe we should always pray for healing, but sometimes I believe we do get a ‘no’ or at least God may want to delay the healing for another date. God will always answers prayers in a way that is best for our souls and people He wants you to help in some way. If you read up on Job, the devil really attacked him in every way he could. Job learnt humility and a true appreciation of God’s sovereignty, through his tragedies. It wasn’t done just for Job’s sake, but we all learn from his experiences and get encouragement from Job’s trials. This applies to our trials that Satan brings on us. God is in complete control, but sometimes even after a great many prayers and fasting, God seems not to be listening to us. God is very attentive to our cries, but He also knows sometimes we need trials to learn a great many things for our souls and others benefits. I have had many trials and the result of them cause me to be very deprived of sleep, for at least four decades. One part of my life, I would go to work and I would know by rights I should have been dead of sheer exhaustion. My body was in pain through lack of sleep and the thing I noticed despite of the credible exhaustion that I suffered, I would work harder than many people at work did. I was in constant amazement that God gave me the grace to work, when I knew I should have been dead. It was a miracle and I knew it. Four decades later it seemed that God put into my heart to call on Him for deliverance and healing of this problem. I knew I had some work to do for the Lord and yet I was dying. So I knew it wasn’t God’s will for me to die and since doctors couldn’t help me there was no other alternative but turn to God and start asking for the gift of faith, so that I could be healed and do the work God called me to do. I bringing this up, because I believe God was using my sickness for those many years, because it was serving a purpose and then came a time when God put it into my heart, He was now wanting me to grow another way. I remember my mother told me once that my father’s family, was trying to stop my father from marrying my mother, because she was sickly. They said if you marry her you will get nothing but medical bills. What happened, it wasn’t my mother that brought in all the medical bills but my father. He became sick two years into the marriage. What my mother said was before the illness came onto him, my father had a chip on his shoulder, believing the world owed him something and he didn’t have any time for people who were sick. My father became sick when I was about a year old, so I only knew him as a sick man. My mother said it changed him. He became a very compassionate man towards other people especially those who were suffering. His heart softened towards his fellow man and he was a very good father, unlike his father. This is one of the things that Protestants and Catholics tend not to agree with. 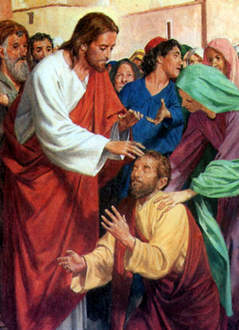 I have read many Protestants books using the bible passages where Jesus heals everybody, not one person He didn’t heal. I also heard Protestants say that they were told by Jesus the part of the Lord’s Prayer when it says ‘Thy kingdom come Thy will be done on earth as it is in heaven.’ So in other words it is not God’s will that we are sick. Of course it is all true. Jesus never lies. I remember writing an article on ‘closed minds.’ Saying what Jesus will say to Protestants He will not necessary say to Catholics and it also applies what Jesus will say to Catholics, He doesn’t necessary say to Protestants. I know at this point people are going to think that I am committing blaspheme here. But I am not. God will speak to you where you are at. The more open you are to God the more He is able to explain everything to you. Nobody knows it all, we are all learning more and more about God and His ways every day. I remember reading a Catholic who just received the gift of faith healing, so he went to the hospital and prayed for every sick person there. He came back home angry with God and told Him that he prayed for everybody and not one person got well. God then replied to him, ‘did I ask you to pray for them.’ Faith healers will pray over people and they will find not every one of them gets healed. Some of the faith healers will say it is the sick persons fault for not having enough faith. I also have heard where other faith healers will go up to a perfect stranger who is an atheist and pray over them and they will be healed. I believe generally speaking Protestants tend to lean more to reaping and Catholics tend to lean more to sowing. Reaping and sowing require different skills. For example I remember a Catholic monk was talking to a crowd of people and he looked straight at me and he said ‘I don’t understand these stay people.’ For me it was obvious he wasn’t called to be a sower. He was called to reap. If you are called to reap in the harvest that God has sent you, you will need to be fairly healthy physically. To get around here and there and preach and heal and counsel etc. you need to have a healthy mind and body. People who are sowers are called to full time intercession, most of the time. Travelling and full time intercession work doesn’t as a rule go together. And quiet often not always, sowers may be called to be what Catholics call being a ‘victim for God.’ Sickness is not an uncommon calling for this group. One saint that I love very much, because she has taught me so much and inspired me a great deal to carry my cross as well as Saint Francis’s Assis, is Sr. Josefa Menendez. Jesus communicated to her all the time. 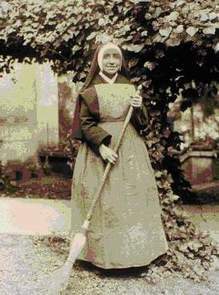 Her mother superior and other people looking after her spiritual progress would test her many times to make sure it was indeed Jesus communicating to her. The suffering Sr. Josefa was called to suffer for the Lord and on behalf of mankind, demanded so much courage that I can’t help loving her for what she has done for God and for her fellow man in union with the suffering of Jesus Christ. Suffering has a place in our redemption and the ones God has called us to help. My sleep has improved incredibly so. It has taken over a year to get this far. I am still weak and exhausted, but my sleep has much improved. The time has not been wasted, because God has taught me so much about Himself that I would not have ever known. There is so much to learn and I know even when we are in heaven, we are going to learn about the marvels of God for ever, because there is no end to His greatness. 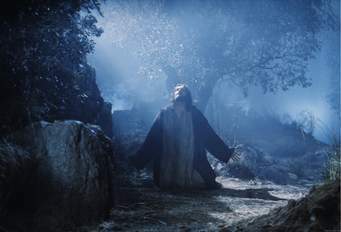 One day I said this prayer to Jesus and He appeared to me In Spirit and showed me how deeply He was touched by this prayer offering I gave Him. So now I say it five times before I rise in the morning.